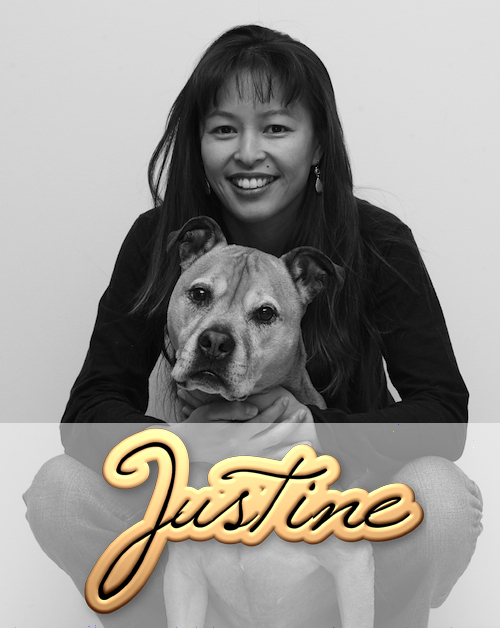 Dr. Justine Lee is the CEO and co-founder of VETgirl. She graduated from Cornell University, and then completed an internship at Angell Memorial Animal Hospital, which is affiliated with the MSPCA. In addition, she has also completed an emergency fellowship and residency at the University of Pennsylvania. 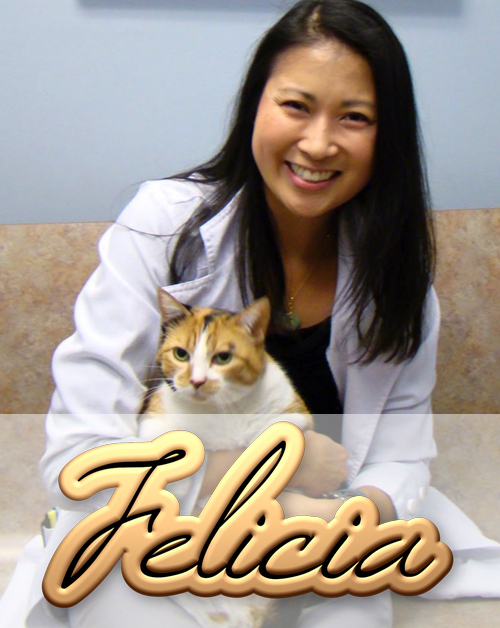 Currently, Dr. Lee is one of approximately 450 board certified veterinary specialists world wide in emergency and critical care, and is a Diplomate of the American College of Veterinary Emergency and Critical Care (DACVECC). She also is board-certified in toxicology and is a Diplomate of the American Board of Toxicology (DABT). For more information, click here. Dr. Garret Pachtinger, DACVECC is the COO and co-founder of VETgirl and committed to veterinary education through technology. 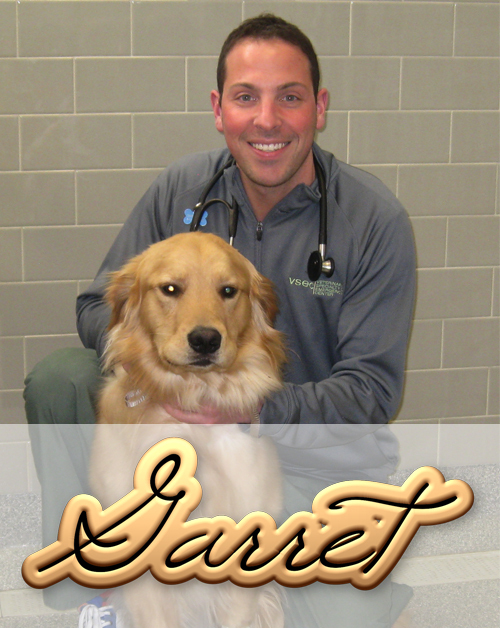 Dr. Pachtinger is a graduate of the University of Pennsylvania School of Veterinary Medicine. Following veterinary school, he completed a one year internship in small animal medicine and surgery, a one year internship in emergency and critical care, and a three year residency in emergency and critical care at the University of Pennsylvania, becoming a Diplomate of the American College of Veterinary Emergency and Critical Care in 2010. After completion of his residency, Dr. Pachtinger joined the Veterinary Specialty and Emergency Center in Levittown, Pa. For more information, click here. Jeannine Moga, MA, MSW, LCSW, is a licensed clinical social worker with specialties in veterinary social work, occupational stress/resilience, and grief and loss – which to most people sounds incredibly stressful, but to her ignites a sense of purpose! She has previously delivered VETgirl wellness content. Jeannine pursued a Master’s degree in Sociology (Washington State University) before changing fields and receiving her Master of Social Work degree from the University of Minnesota in 2004. She has developed and led two veterinary social work programs (Veterinary Social Services at the University of Minnesota’s Veterinary Medical Center, and Family & Community Services at NC State University’s Veterinary Hospital), and has spent the past 15 years working with veterinary, animal welfare, and social services professionals to address the intersections of human and animal health and well-being. She is now in private practice in Southeast Virginia, where she serves as a therapist and veterinary social work educator/ consultant. 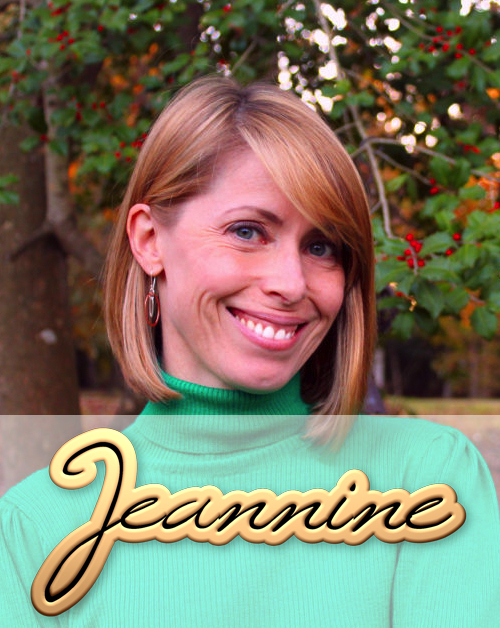 In her spare time, Jeannine enjoys trail riding, yoga, home renovation projects, and trying to bake the perfect pie. Jeannine and her husband share their lives with/wrangle a teenager, four dogs, a bird, and a horse. 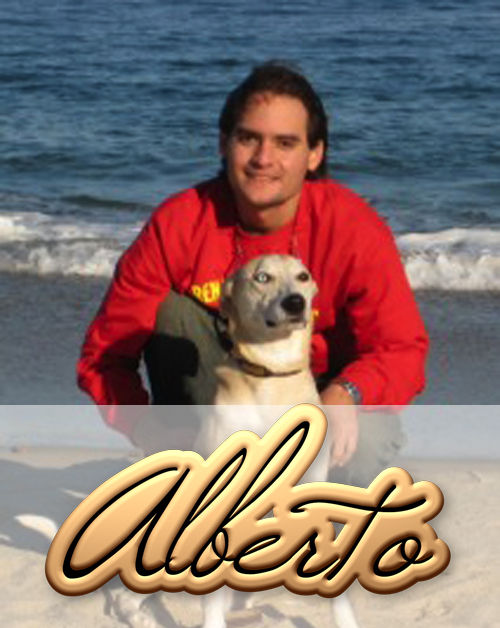 Dr. Alberto L. Fernandez, DACVECC obtained his veterinary degree from Ross University School of Veterinary Medicine in 2004 and graduated with honors. 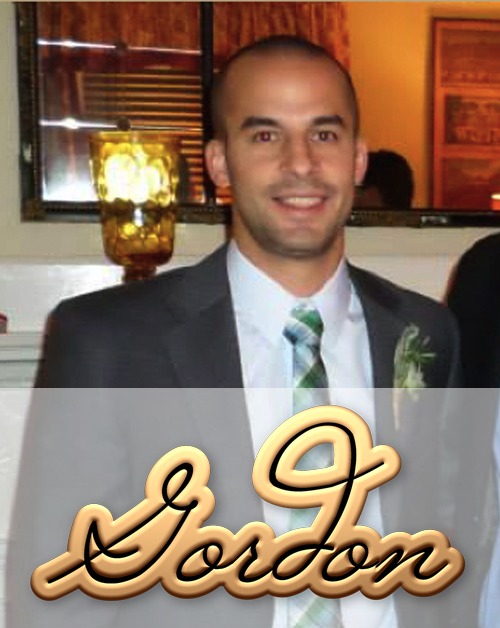 He completed a residency in emergency and critical care at Cape Cod Veterinary Specialists in 2011, and became a Diplomate of the American College of Veterinary Emergency and Critical Care (DACVECC) in 2012. Previously, Dr. Fernandez was on faculty at St. George's University School of Veterinary Medicine in Grenada, West Indies, where he was the Assistant Medical Director of the Veterinary Teaching Hospital Small Animal Clinic and an Associate Professor in Small Animal Medicine and Surgery. He also practiced at a Specialty Referral practice in Miami, FL and Cape Cod Veterinary Specialists. Currently, he practices at VCA Springfield as a criticalist. Dr. Fernandez shares his house and life with his four-legged children, Yuisa and Maya, two children, and joined the VETgirl team in 2012. 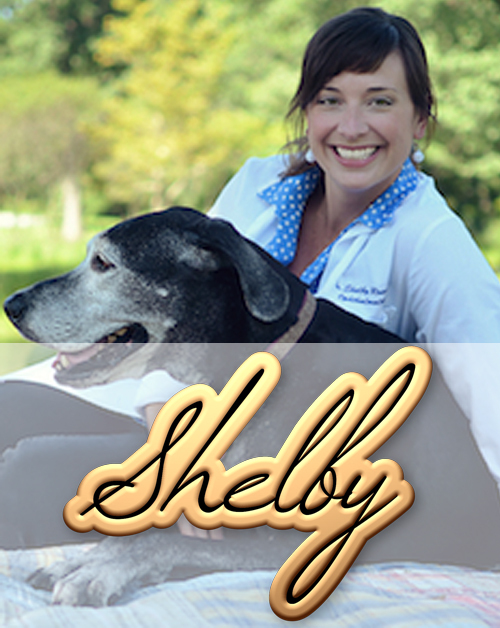 Dr. Shelby Reinstein is excited to be a member of the VETgirl team! She graduated from the Kansas State University College of Veterinary Medicine. Following veterinary school, she completed a rotating internship at Michigan State and then a one-year internship in vision research at the Retinal Disease Studies Facility at the University of Pennsylvania School of Veterinary Medicine. After completing the specialty internship, Dr. Reinstein completed three-year residency in ophthalmology at the University of Pennsylvania School of Veterinary Medicine. Dr. Reinstein now runs the ophthalmology service at the Veterinary Specialty and Emergency Center in Levittown, Pa.
Dr Michelle Trappler attended veterinary school at University of Pennsylvania and graduated in 2008. She completed a rotating internship at Coral Springs Animal Hospital in Coral Springs, Florida, followed by a surgical internship at Dallas Veterinary Surgical Center in Dallas, Texas. Dr Trappler completed a 3-year surgical residency at VSEC. While at VSEC, Dr Trappler developed a special interest in wound management and vacuum-assisted wound closure. During that time, she also began regularly working with Dr Sherman Canapp of the Veterinary Orthopedic and Sports Medicine Group (VOSM) on arthroscopic surgery and sports medicine cases. Dr. Trappler achieved board certification in small animal surgery in 2014. Following her residency, she completed a 1-year sports medicine and arthroscopy fellowship at VOSM, refining her arthroscopy skills and working with various regenerative medicine therapies for orthopedic disease. She is now the new head of surgical services at the Hospital Veterinario San Fransciso de Asis in Hatillo, Puerto Rico. During her free time, Dr Trappler enjoys baking, cooking, photography and travel. Dr. Peddle is a Diplomate of the American College Veterinary Internal Medicine (Cardiology). He is originally from New York and received his Veterinariae Medicinae Doctoris (VMD) degree from the University of Pennsylvania School of Veterinary Medicine in 2006. He then completed a one-year internship in small animal medicine and surgery at Oradell Animal Hospital in Paramus, NJ before returning to the University of Pennsylvania to complete a three year residency in veterinary cardiology. He achieved Diplomate status as a board-certified cardiologist in 2010. Dr. Peddle has been published in the Journal of Veterinary Cardiology and Journal of the American Veterinary Medical Association, among other scientific journals. Dr. Peddle’s particular cardiology interests include pulmonary hypertension, congenital heart disease, infectious endocarditis, heart failure therapy, and catheter-based interventions. He lectures to veterinarians and non-veterinarians on these and other relevant subjects. Dr. Peddle spends his free time enjoying music, New York sports, nonfiction literature, and planning travel adventures (as well as trying to find time to take travel adventures!). Dr. Kaplan-Zattler is a New England native originally from Maine. Escaping the cold, she earned her DVM from the University of Florida. She then completed a small animal internship in Tampa, FL before moving back to New England to pursue a 3-year Emergency and Critical Care residency program at Angell Animal Medical Center in Boston, MA. After the completion of her residency she earned her diplomate status in the American College of Veterinary Emergency and Critical Care. She then achieved certification through Colorado State University in western veterinary medical acupuncture, which she uses in conjunction with standard medical practices for pain control and overall patient well-being. She enjoys sharing her knowledge with all who are pursuing careers in veterinary medicine, and she has presented at veterinary conferences to both technicians and veterinarians, and has taught at the local veterinary school. 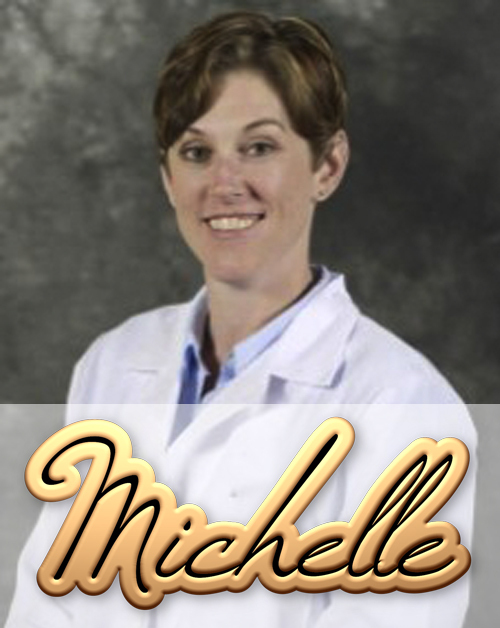 Her specialty interests include anesthesia, pain medicine, wound management, and toxicology. In her free time she enjoys outdoor activities such as hiking, kayaking, as well as dabbling in free-lance art and medical illustrations. She enjoys spending time with her husband, daughter, and her three feline fur babies. Ann Marie Cumella, CVT obtained her bachelors in Animal Science with a minor in Biology from the University of Minnesota in 2008. She then obtained her AAS degree in veterinary technology from Argosy University in 2013. Since becoming a Certified Veterinary Technician, she has worked in both small animal general practice and emergency clinics alike and is currently working at an Emergency and Specialty practice as a critical care technician in Minnesota. She has a cat named Kitty and a mischievous dachshund named Dexter and in her free time she enjoys hiking, a good book, traveling and trying as many different foods as she can! Dr. Felicia Leung is a Midwest native from Illinois. She attended veterinary school at the University of Illinois and graduated in 2003. Following veterinary school, she completed a one-year small animal and surgery rotating internship at Tufts University in North Grafton, MA. She moved back to Illinois and joined a general small animal practice in Chicago and met her husband living there. His journey to become a medical doctor took them to Cleveland, OH, Charlotte, NC and then back to Chicago, IL and soon to be in Kansas City, KS. Dr. Leung has a cat named Tyler and a dog named Cali (short for California where her husband is from so that they would always have California wherever they went), and two young kids that keep her busy. But in her free time, she enjoys cooking and baking, enjoying good food, crafting (esp. crochet and knit), and would love to do more traveling. 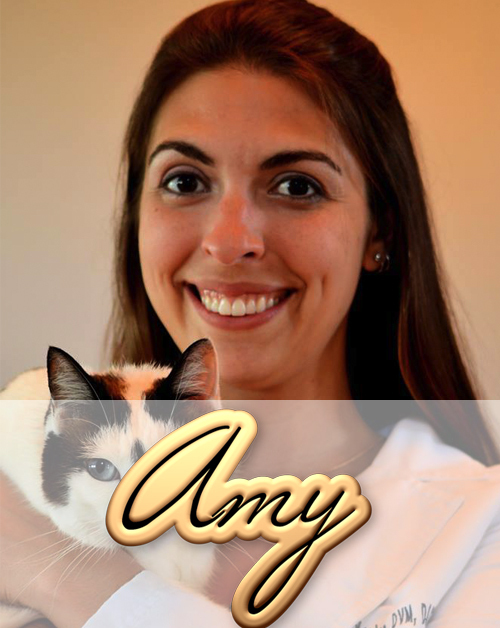 With over 20 years in the industry Amy brings her passion and love for education to VETgirl. After working in general practice, Amy found her passion in emergency medicine and in 2003 she became a Veterinary Technician Specialist in Emergency and Critical Care. She has held several board position in the Academy of Veterinary Emergency & Critical Care Technicians including President. 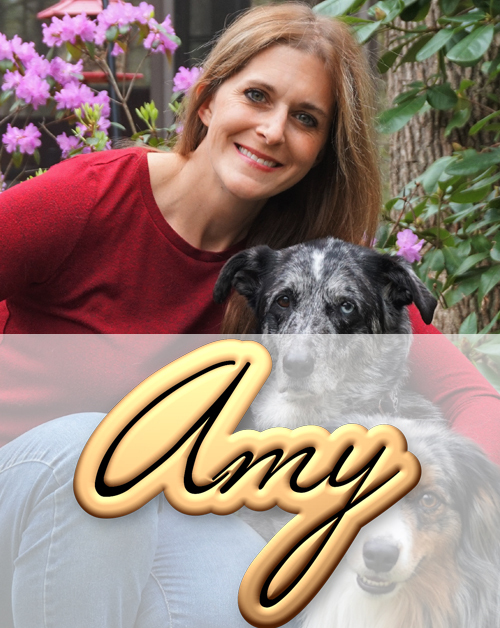 Amy is well published in over 15 subjects, is an international speaker, has received numerous awards including two speaker of the year awards and is highly involved in her community. She lives in Massachusetts with her wonderful furry kids where you can find her eating chocolate, running in the woods, competing in agility and diving in the ocean.